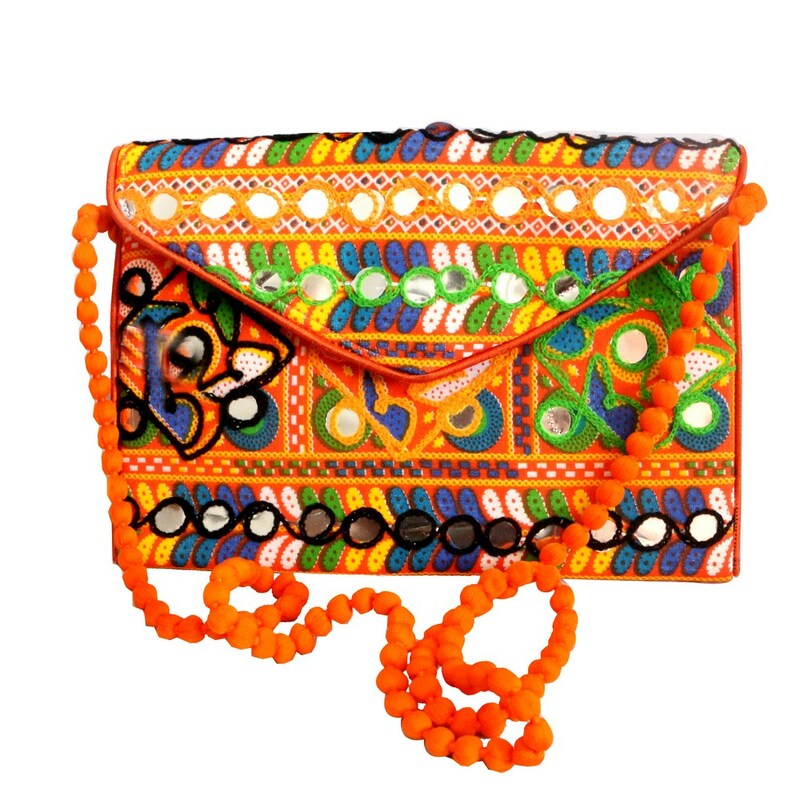 This handcrafted designer bag is a great pick to harmonize with traditional outfits. The sober colour mostly suits the daytime hours. Carry all your personal Read More..stuffs in here and you are ready to glam up your look instantly. With fine mirror works on the bag, its look gets even more tantalizing. Show Less..